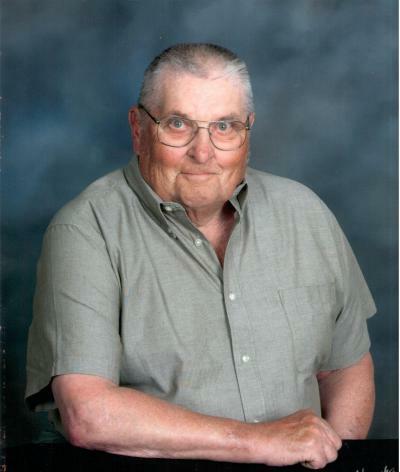 Arthur F. Nowak, 87, of rural Silver Lake, died Tuesday, Feb. 23, 2016, at his home. A concelebrated Mass of Christian Burial was held Monday, Feb. 29, at Holy Family Catholic Church in Silver Lake. The Revs. Tony Stubeda, Paul Schumacher and Cornelius Ezeiloaku were the officiants. Interment with military rites was in the St. Adalbert Cemetery in Silver Lake. Casket bearers were James Dahlke, Timothy Dahlke, Andrew Nowak, Kyle Stifter, Paul Nowak, Mark Nowak and Jeremy Schuch. Arthur F. Nowak Sr. was born Feb. 24, 1928, in Silver Lake, the son of John and Mary (Goranowski) Nowak. He honorably served his country in the U.S. Army, serving in the Korean War. On June 16, 1953, Arthur Nowak and Bernice Kostecka were joined in holy marriage at St. George Catholic Church in Glencoe. God blessed their marriage with nine children. The Nowaks engaged in dairy farming for many years in Hale Township, McLeod County. Mr. Nowak was dedicated to his family. He was a hard worker, enjoyed fishing and had a good sense of humor. He was a faithful member of Holy Family Catholic Church in Silver Lake. He was a former trustee at St. Adalbert Catholic Church in Silver Lake. He also belong to the Silver Lake Knights of Columbus Council 1841, Silver Lake American Legion Post 141 and Hutchinson VFW Post 906. He is survived by his nine children, Shirley Nowak, Barb Nowak, Nina (Keith) Stifter, Randall (Pamela) Nowak, Julie Schuch (Doug Karg), John (Kathy) Nowak, Connie (Brad) Schultz, Art (Karen) Nowak Jr. and Barney Nowak (Laurie McDowell); 17 grandchildren, James (Jenny) Dahlke, Timothy Dahlke (Carissa), Andrew (Kelsey) Nowak, Amanda (Nick) Johnson, Kyle Stifter (Sandy Tatro-McCollum), Jaclyn Stifter, Kristine (Tim) Burmeister, Jessica (Matt) Simonson, Jennifer Nowak, Jillian Schuch, Jeremy (Leah) Schuch, Paul Nowak, Mark Nowak, Nathan Schultz, Hunter Schultz, Emily (Jared) Mathwig and Tyler Nowak; 16 great-grandchildren, Travis, Zach and Madison Dahlke, Grace, Graydon and Kinley Dahlke, Connor Nowak, Tyson Johnson, Nayah Tamfu, Hailey, Gracie and Nora Burmeister, Madelynn Schuch, and Abigail, Natalie and Eva Mathwig; sister, Valeria Rozeske; brother, Stanley (Mary Ann) Nowak; and brothers-in-law, sisters-in-law, nieces, nephews, other relatives and friends. He was preceded in death by his wife, Bernice; his parents; two brothers; and two sisters.